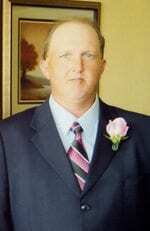 Ted Wayne Canup, 42, of Dawsonville passed away Friday June 15, 2018 at his residence following an extended illness. Born August 2, 1975 in Spalding County to the late Alfred Rudess and Elizabeth Janice Chumbley Canup, he had lived in Dawson County for the past 12 years having moved from Griffin. Surviving are his sister, Trina Brown, Dawsonville; brother and sister in law, Tony and Opal Canup, Griffin; aunt and uncle, Judy and Bill Abercrombie, Gainesville; and a number of nieces and nephews. At his request, Mr. Canup was cremated and memorial services will be held at a later date.